How Forklift Training has changed with Time? The use of forklifts as a material handling equipment has increased with time as the industries of agriculture, building supplies and distribution have grown in magnitude and business level. As such, the correct and safe operation of forklifts has gained an irrevocable importance among the business owners since unsafe usage can not only damage the supply chain, storage, and distribution phases of the business but also put the lives of operators at risk. Of course,some forklifts provide greater safety than others, such as Moffett truck mounted forklifts but it is essential to be well trained in the usage of all conventional and non-conventional forklifts. The Occupational Safety and Health Administration (OSHA) is an agency in the United States of America that was established to ensure the safety of all workers in all professions by providing them safe and dependable standards, policies, training,and assistance. This organization recently updated the standards of training required by operators to operate forklifts. 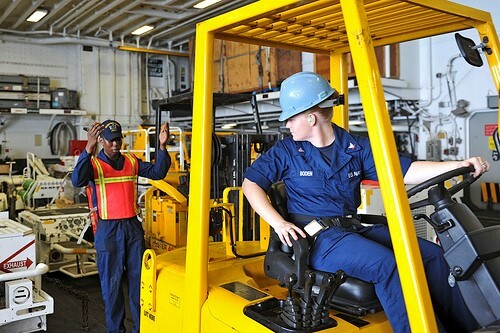 This article shall discuss why the update in the training for forklift operations was required and how the overall training procedure has changed with time. The last time the rules, regulations, and requirements were changed or amended by the OSHA for forklift training was back in 2000. The last amendment in the rules primarily applied to operators who used powered industrial trucks. Back then, the OSHA broadened the existing standard and added new standards for shipyards and construction. The training program included three fundamental parts that consisted of formal instructions phase, practical assessment, and evaluation of the operator’s ability. Why The Change In Training Standards Is Required? With the change in the requirements of industries and continuous innovations in all fields, it is essential to keep updating safety and training standards for material handling equipment that is as widely used as forklifts. Moffett forkliftsare a testimony to the fact of how quickly the right innovation can lead to widespread use of a particular type of forklift.